Hanging things on shelves isn't very visually appealing. 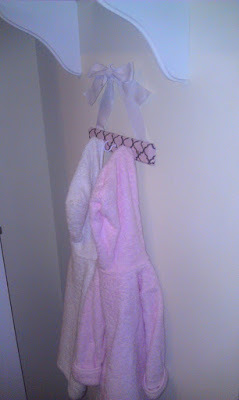 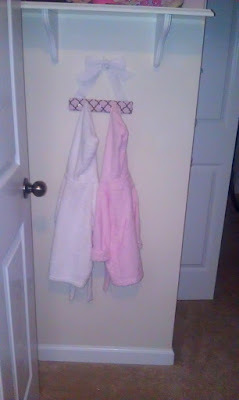 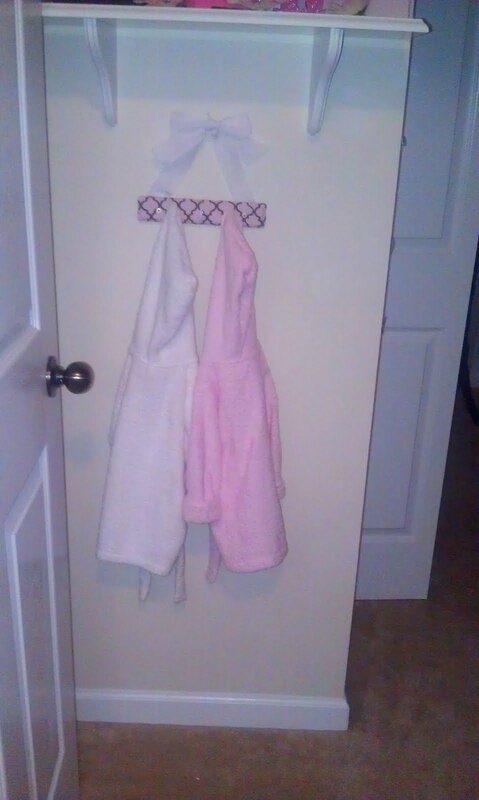 So I decided to use a piece of wood that I have been holding on to, to create a set of hooks for Eden's room. 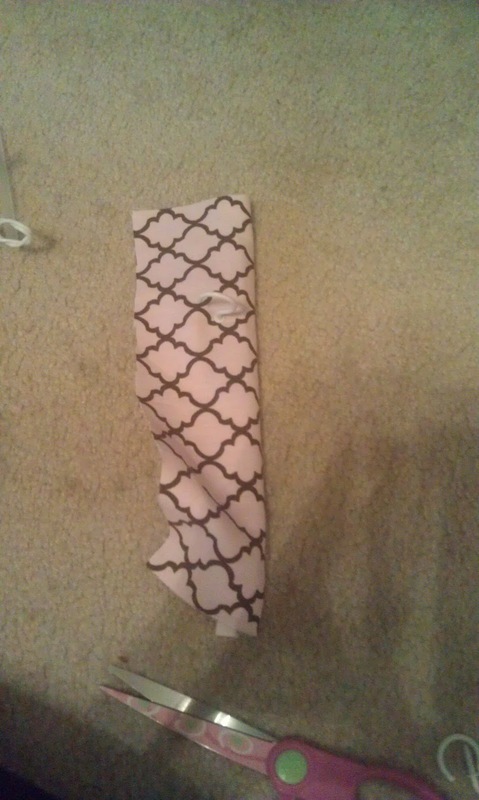 First, with my trusty glue gun, I started to cover the piece of wood with fabric that was left over from some other projects that have been done in her room. 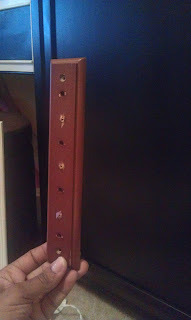 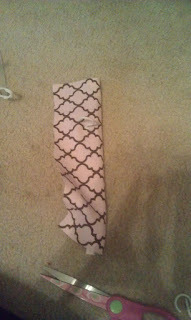 Next, I screwed in the hooks before the piece was completely covered to make sure I got the hooks in the right spot. Since there were already holes in the wood piece, that really made the job simple! 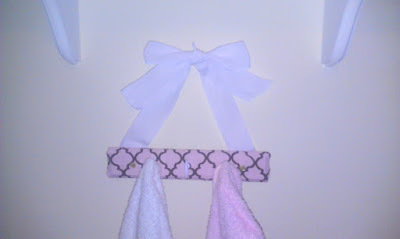 And here you go, project complete!